Audi has made few changes to the Q3 since it debuted in the U.S. for the 2015 model year. A redesigned version will make its first appearance in just a few days, but for now all we have to go off is this teaser video. 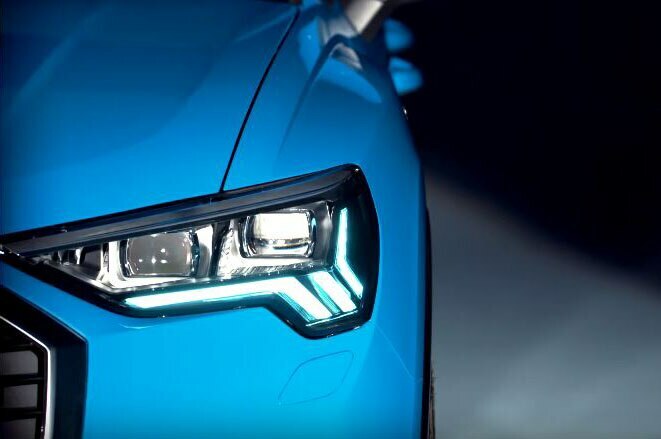 The video previews a completely new look for the headlights and grille. There is little space separating the headlights from the grille, and this look is achieved with the help of a new grille surround. The lower vents below the grille also appear to take on a new shape. The Q3 should offer a wider array of technologies than those offered by the aging current version. These will probably include Audi’s 12.3-inch digital instrument cluster as well as automatic emergency braking, which the 2018 Q3 doesn’t have. The model is also likely to receive more power from its 2.0-liter turbocharged four-cylinder engine. The current model produces 200 hp, routed through a six-speed automatic transmission. It’s also the last front drive-based Audi that hasn’t moved to the new MQB platform. The Q3 will debut July 25 to battle the BMW X1 and Mercedes-Benz GLA-Class.